This plugin fills a need quite common in wpCasa users. Generate a PDF file with all information relating to a property. 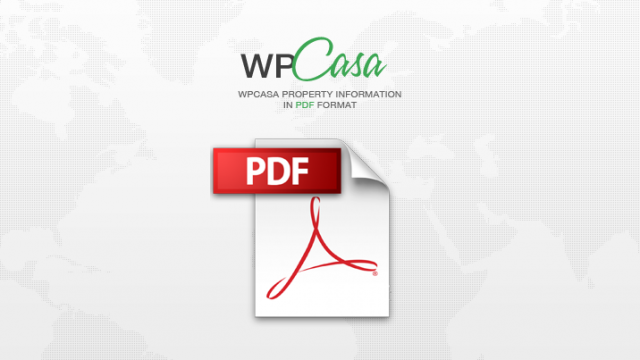 The wpCasa PDF plugin replaces the “Print Version” link in the property title widget with a “View PDF” link to let your users browse, download or print property information in PDF format. Through the plugin options you can change the layout and tailor things to your needs. For more information, visit wpCasa PDF.